Our selected caregivers will come to your home to help with anything from bathing and dressing, to meal preparation and light housekeeping. 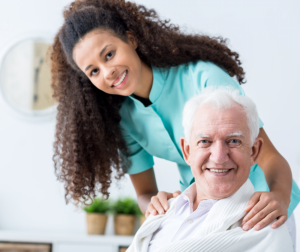 But mostly, we bring a ray of sunshine into our client’s day, and a sense of comfort to their families by offering senior care, elder care and many of the services in home health care in Texas. Each potential employee has to undergo a thorough screening prior to being offered a position with Blessing U With Loving Care. Our screening process starts from the first conversation we have with the potential employee. Our interview process, behavioral and values testing evaluates the applicant for honesty, compassion, work ethic and compatibility to name just a few. Blessing U With Loving Care has Ideal Standards for the employees we hire. Each applicant must successfully pass both written and skilled competency testing, successful Texas Department of Law Enforcement Background Screening; work history is evaluated then verified and drug testing performed at Agency discretion. A physical and negative Mantoux test is also required. We feel very comfortable and confident that you will be as equally impressed with our employees. We’re so sure, we guarantee it!! Each of our employees is covered with Worker’s Compensation Insurance, so there is no liability for you or your family if an employee should be injured while in your home or providing services to you. Blessing U With Loving Care pays all employer related taxes for each of our staff. There is no client responsibility for any of these fees. Each employee receives a W2 at the end of each calendar year. Blessing U With Loving Care carries General and Professional Liability Insurance in the amounts of $1,000,000 / $3,000,000. Employees are supervised by administrator or office supervisor. There is never a fee for this service. Visits to the client’s home are made by the administrator or office manager who will evaluate the employee’s performance and will perform an assessment of the client. The plan of care can be adjusted at this time if necessary. 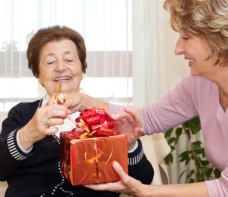 Blessing U With Loving Care recently completed a survey of local Home Care Agency fees. When comparing service rates, we found that we are competitive with other agencies in the area. However, the survey also revealed that we pay our client care staff extremely well. We acknowledge that our employees are the heart of our business and we hire and retain only the best! Would you like to meet us in person? Send us an online appointment request or give us a call at 972-293-8701.